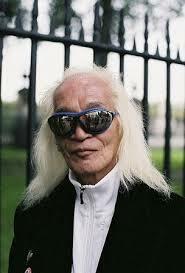 Singer and producer; actor; pivotal figure in Japanese rock history. Uchida brought psychedelic music to Japan via his Flowers/Flower Travelin' Band. Via Asahi.